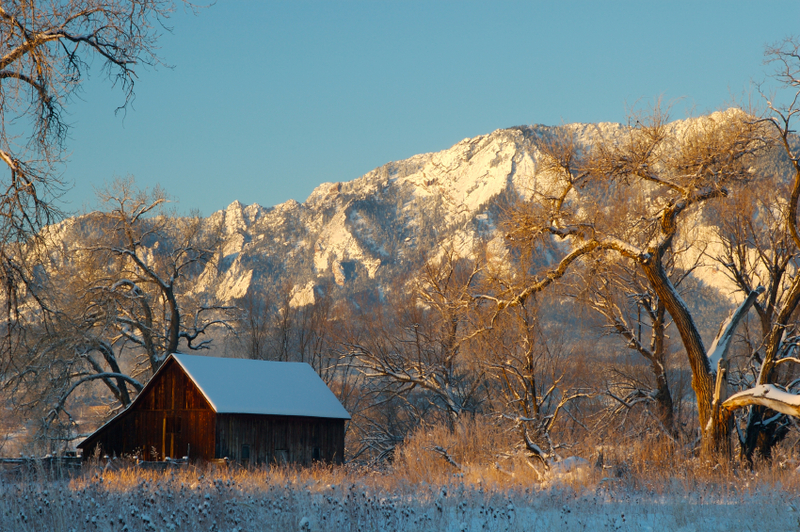 The mountains of the Northeast may not approach the altitudes of the Alps or Pyrenees, but cheeses crafted in the nooks, crannies, and foothills of the Green Mountains and Adirondacks stand tall next to their European forebears. American cheesemakers are in many ways still blazing a trail for hand-crafted cheese, free from many of the same constraints that shaped European cheese tradition. Today the peaks and valleys of the American countryside yield some of our favorite farmstead cheeses– traditional Alpine wheels made from raw Jersey cow’s milk, terroir driven goat tommes, and luscious mixed-milk triple creams. While Alpine agrarians cooked and pressed the curd for their hefty wheels of Gruyere out of necessity (who wants to schlep a hundred balls of soft burrata down a mountain slope instead? ), today you’ll find Alpine-style Tarentaise from Spring Brook Farm made an expansive Vermont meadow, where a herd of 100 doe-eyed Jerseys (prized in the cheesemaking community for their rich milk) get their fill of lush grass in fields surrounding the cheese house. The terrain might not be Alpine, the process certainly is: cheesemaker Jeremy Stephenson heats curds in traditional copper kettles, and finished wheels are washed and turned for months, all the while developing the characteristic Alpine flavors- a kick of pineapple, followed by a savory nuttiness akin to hazelnut butter. If meaty washed rinds like Forsterkase and Vacherin Mont d’Or are more your speed, trek 60 miles across the Green Mountains to Twig Farm in West Cornwall, Vermont, where Michael Lee and Emily Sunderman milk a small herd of Alpine goats for their raw milk cheeses. 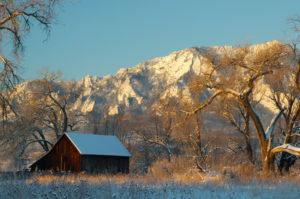 Twig’s Soft Wheel peaks in these mid-winter months, the buttery late-season milk redolent of wild grasses and wilder flowers, with a characteristic brightness. Soft Wheel, aptly named, is washed in whey brine, which encourages its healthy pink rind and enhances its depth of flavor. At Nettle Meadow Farm in the southern Adirondacks, cheesemakers Lorraine Lambiase and Sheila Flanigan have embraced their rich, expressive milk and fashioned Kunik, a triple cream dream worthy of a picnic at any elevation. Though bloomy rinds reign the coastal regions of France, we think New York’s Kunik fits right in nestled in wooded, sloping terrain. Made from the milk of Nettle Meadow’s herd of browsing goats, with an added dollop of cream from neighboring Jersey cows, Kunik is an unmistakably peanutty butter bomb, an edible testament to a balance of traditional skill and American ingenuity. This month try all three in our American Mountain Trio – click here to learn more. Who isn’t a fan of fondue? On a cold winter night there are few things more comforting than melted cheese, especially when friends and family are gathered around to share in the experience. And we’ll let you in on a little secret: Fondue is the perfect storm of minimal effort and maximum rewards. A true cornerstone of entertaining for lazy people. It’s so easy that we made three batches in an just under an hour to try out some new recipes, which you’ll find below. What are you waiting for? Get melting! This is the “classic” recipe most people think of when thinking of fondue. 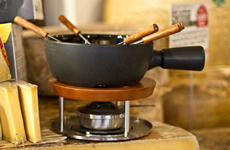 Want to add a little flair to your fondue? Substitute 1/4 lb of any cheese below with a more flavorful Alpine style cheese like Scharfe Maxx, Etivaz, or Vacherin Friborgeois. Take garlic glove and cut in half. Rub the garlic clove halves all over the inside of your fondue pot or thick bottomed pot on your stove. Add the wine and lemon juice and bring to a simmer. In a large bowl combine all cheeses and the cornstarch tossing the cheese several times until all cornstarch has evenly coated the cheese. Add cheese to the liquid in the pot over low heat. Stir frequently with a wooden spoon. Approximately 7-10 minutes until all cheese has been fully melted and your fondue has a smooth consistency. Add nutmeg. Add salt and pepper to taste. Serve it up! Keep over low flame to keep fondue melted. Accompaniments of apples, ham, crusty bread, and cornichons will complete your meal. A funky twist on a classic. The combination of Etivaz, nutmeg and Piri Piri makes this fondue especially rich, flavorful and nuanced in a way that will make people say, “Do I detect a hint of…?” Yes. Yes you do. Follow method for basic fondue. Add Piri Piri at the end, seasoning to taste. Serve with accompaniments of your choice. We like it with roasted Brussels sprouts and potatoes, chorizo, tasso ham, and crusty bread. If you’re ready to take your fondue to the next level, also known as “The Maxx,” this is the ‘due for you. Bold flavor, silky smooth texture and unmistakable nuttiness. Follow method for Basic Fondue. Serve with accompaniments of your choice. We like apples, saucisson sec, potatoes, roasted fennel or pearl onions, crusty bread, and cornichons. Here at Murray’s we have been raving about Roquefort all month long. Can you blame us? Roquefort is classic, tasty and versatile, perfect for this time of year when lots of people are entertaining. After we nearly had to say au revoir forever we renewed our love for this French beauty and never looked back. Let’s just say we hope it’s standing nearby when the clock strikes 12 on New Year’s Eve. And to improve the odds of that happening, here are 5 tasty ways to enjoy one of our favorite cheeses. Bon appetit! 1. Fresh endive leaves topped with crumbled Roquefort, candied nuts and a dried cherry or cranberry. Sweet. Salty. Crunchy. Awesome. 2. Spread some Roquefort on a fig and wrap it in prosciutto. OH YEAH. 3. Serve a hunk of Roquefort au naturale. With a nice Sauternes on the side. Why mess with a classic? 4. Top your favorite cracker with some Roquefort and drizzle with honey. This sweet treat is the bees knees. 5. Whip it! Roquefort whipped with equal parts butter and cream cheese or sour cream makes an excellent dip. Whip it good! Veggies, chips and all things dip-able will be the perfect companion. It’s true: The easiest, tastiest way to host your friends and family for the holidays is with a fantastic cheese spread. Whether you’re a cheese newbie or a fromage fanatic, this season’s latest and greatest party cheeses will help you plan your most delicious gathering. So sit back, let your mind drift to the gooey, the crumbly, the yummiest cheeses of the season. 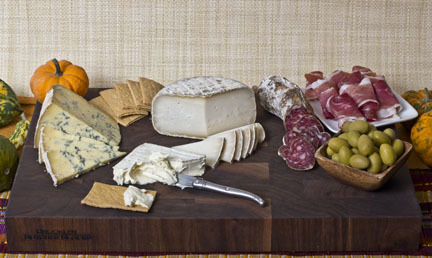 Getting started: A great party spread has up to 6 cheeses of all different styles and milk types. We suggest delighting your guests with a mix of buttery, grassy, pungent or caramelly tastes. What grows together goes together – you can’t go wrong with cheese and pairings from the same neck of the woods. Serving Sense: Cheese tastes better at room temperature, so take it out of the fridge one hour before serving. For a party, set out on a board with one knife per cheese – start cutting into each piece to get it started, then let your guests go to town. 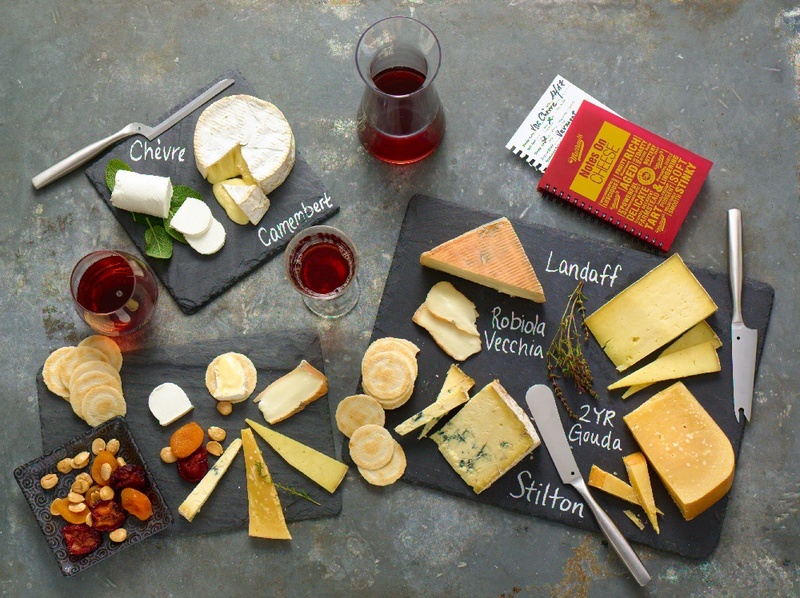 Sommelier for a day: Want to impress by pairing cheese with wine or beer like an expert? Click here to view our full beverage pairing guide. Learn even more by going reading our Cheese Basics. Cheeselovers Anonymous (pictured above) features a complete tasting through all of the cheese styles – we couldn’t have dreamed up a more perfect party package! 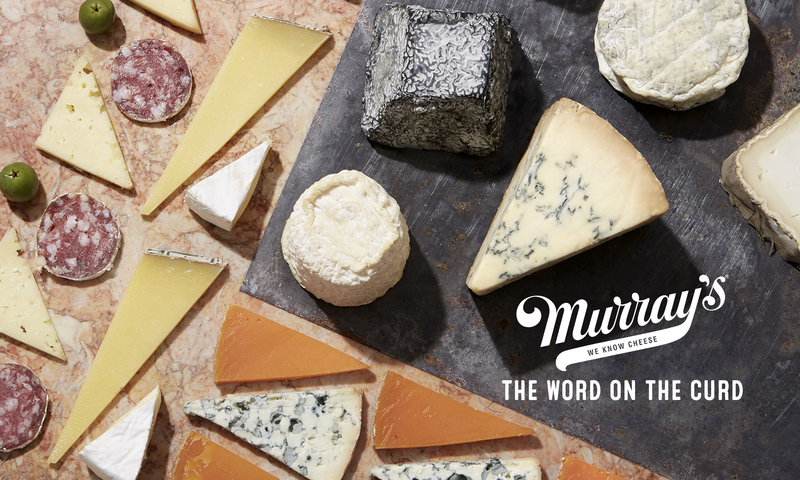 Nobody knows cheese like the mongers at Murray’s. That’s why we asked 10 cheesemongers what they’re bringing to Thanksgiving Dinner this week. Here are their recommendations, straight from the red jackets themselves! Cielo – Keely’s Across the Pond*. God Bless America! James – Jasper Hill Harbison has been tasting amazing, with a really delicate mustard flavor. Eric – River’s Edge Up In Smoke, for post-Thanksgiving breakfast with turkey and stuffing! Sydney – St. Maure*. They are super gooey right now, and the creamy texture means the flavor is even stronger. Brian, Caves Manager at Murray’s Cheese – (Let it be noted that he had a very hard time deciding.) Consider Bardwell Pawlett*, because it’s savory with flavors of sauteed garlic and onion, and a slight tangy-ness. It’s a beautiful table cheese, on point right now, and a total crowd-pleaser. 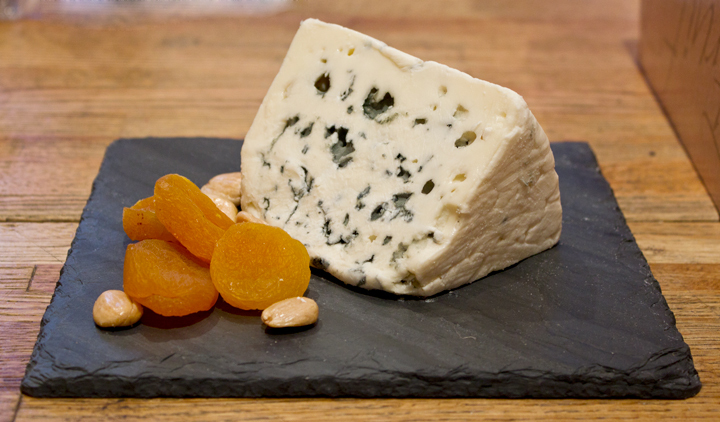 Joshua – Colston Bassett Stilton, because it is just delicious. Sarah – Tomme Chevre Aydius*. It’s light enough that it is a perfect appetizer, especially with crostini. Kevin – Etivaz, it is a super-delicious flavor explosion! Brian – Quadrello di Bufala is sweet and meaty like many Thanksgiving dishes. Most people don’t serve Italian cheese at Thanksgiving, so it’s nice to bring something unique and unexpected to the table. Adam – Spring Brook Tarentaise, my baby. It’s a lovely, hearty cheese and is always great this time of year. *These cheeses are available in our NYC retail stores but are not currently available for online purchase.